The complete 2018 Call for Projects (CFP) document can be viewed here. Please note that the deadline for submission for the 2018 Call for Projects has passed. We will be reaching out to applicants in early 2019 with our selections. If you have a question, please use the question submission form below. When are Concept Papers due? Tuesday, October 9, 2018 at 9:00pm EDT. When is the Full Proposal due? Thursday, December 20, 2018 at 5:00pm EST. Read the Call for Projects document. All applicants must use the required templates listed below for proposals. As noted in the Call for Projects document, only the Quad Chart is required for the Concept Paper. All three templates listed below are required for the Full Proposal. Concept Papers and Full Proposals are submitted through the NCSU InfoReady portal. Please check our Frequently Asked Questions (FAQs) before submitting a question. Please submit questions about the Call for Projects using the form below. 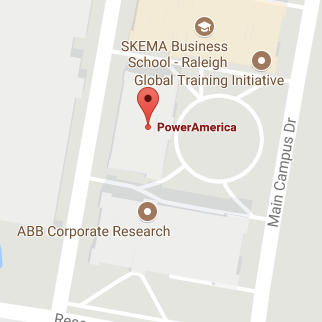 PowerAmerica staff will not answer questions that do not come through this form. All questions and corresponding answers will be added to the FAQs.